Merlin Entertainments is one of the world's largest location-based entertainment companies and owners of Australia and New Zealand's best and most exciting visitor attractions. With 11 attractions across NSW, VIC, QLD and Auckland (NZ) we offer amazing days out for everyone! 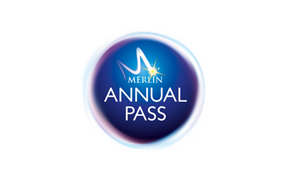 The Merlin Annual Passes (AU/NZ) bring together all of Merlin's attractions, offering passholders HUGE savings for a full year (subject to standard operating hours) to all of the included attractions. We're totally confident no other passes offer anything like as much value - because no-one else can!